The 21st century man cares for his appearance, and in recognition of this we specialise in specific treatments and techniques designed specifically for them. Working in tough jobs and burning the candle at both ends, can make us look tired and unhealthy. For example, a lot of men tell us that the frown lines between their eyes have become a permanent feature, and even though they are not, people often tell them that they look permanently stressed or stern. So whether you want to look healthier, more relaxed or simply just more youthful, we have many techniques specifically tailored for you. 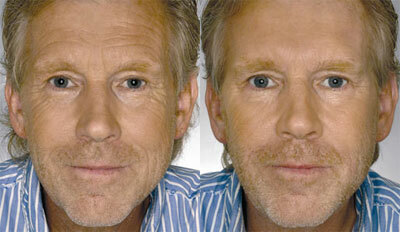 Please don’t be shy, as more and more men have treatments like Botulinum Toxin, Fillers or Chemical Peels every day. Just like using male products and creams, or waxing your body hair, these cosmetic treatments have become a completely acceptable part of a modern healthy lifestyle of many men. Our Clinical Director, Dr Anushka Reddy, can show you how we have helped many of our local male clients feel more confident when they look in the mirror.